We are happy to announce the next practical course of M.E.E.R. e.V. 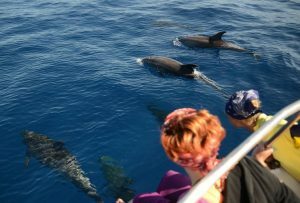 : You can learn about the behaviour of whales and dolphins and analyze their interactions with boats. You can assist in the longterm field research of M.E.E.R. e.V. 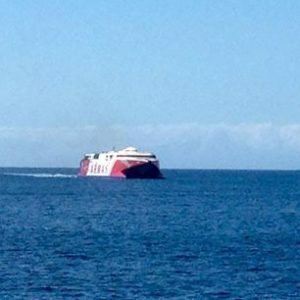 off La Gomera. We are looking forward to see you! 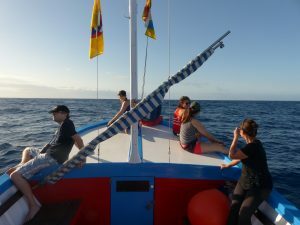 30 March – 13 April 2019 => BOOK NOW!!! Read more details about the course: here! What other participants said about the course: here and here! Find some impressions about former courses on our youtube channel: here and here! Wow, this year’s ECS workshop, co-organized by M.E.E.R., set new standards. More than 50 participants came together to talk about plastic litter and marine mammals, more than ever before. 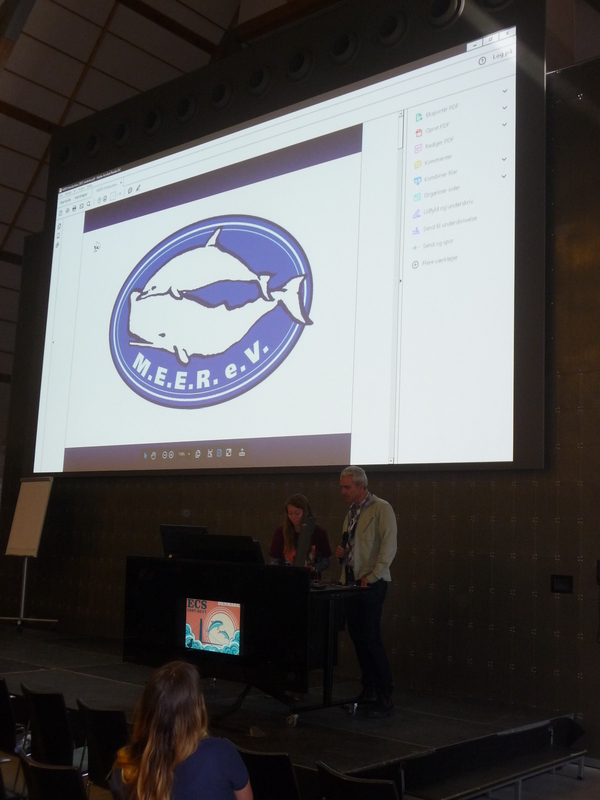 M.E.E.R.’s 2nd chairman Volker Smit presented the results of the plastic pirates, who want to avoid plastic waste even before getting into the oceans. We had talks about current developments as well as about the whole extent of the problem, others dealt with approaches to solve the problem. These included the campaign “I care” by the Swiss organization “OceanCare” and the project One World One Ocean for the mapping of micro plastics in the oceans. The Spanish initiative ECOALF presented a “fashion collection” of marine plastic waste. The popular spring course of M.E.E.R. just ended with a series of wonderful sightings and experiences. For all those who did not succeed to participate there are good news: we have arranged a second practical course on La Gomera from 13 – 27 October 2018! You can learn about the behaviour of whales and dolphins and analyze their interactions with boats. You can assist in the longterm field research of M.E.E.R. e.V. off La Gomera. We are looking forward to see you! 13 -27 October 2018 => BOOK NOW!!! Find some impressions about last course on our youtube channel: here and here! 6th educational workshop of M.E.E.R. e.V. at the ECS conference 2018! We proudly announce that M.E.E.R. e.V. 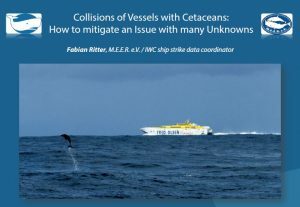 offers its 6th workshop in a row on the annual conference of the European Cetacean Society (ECS). 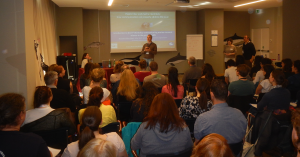 It is an educational full-day workshop in the series „Communicating marine mammal science to the general public“, bringing together enthusiastic people in the field of marine mammals and education. This year’s subject is “Plastic litter and marine mammals: how communication can properly address the issue”. We will focus on the growing problem of plastic litter (macro and micro plastic) in the marine environment representing a great threat to marine mammals as well as on approaches to communicate the problem and to address solutions. The workshop is organised by Volker Smit (M.E.E.R. e.V., Germany) and his colleague Dr. Luigi Bundone (Archipelagos ambiente e sviluppo, Italy). The workshop is open to all, especially suitable for researchers, educators, science teachers, students and the media. M.E.E.R. celebrates its 20th anniversary this year! On this occasion we are very pleased to present the new film: “Das Meer vor La Gomera” (The sea off La Gomera). 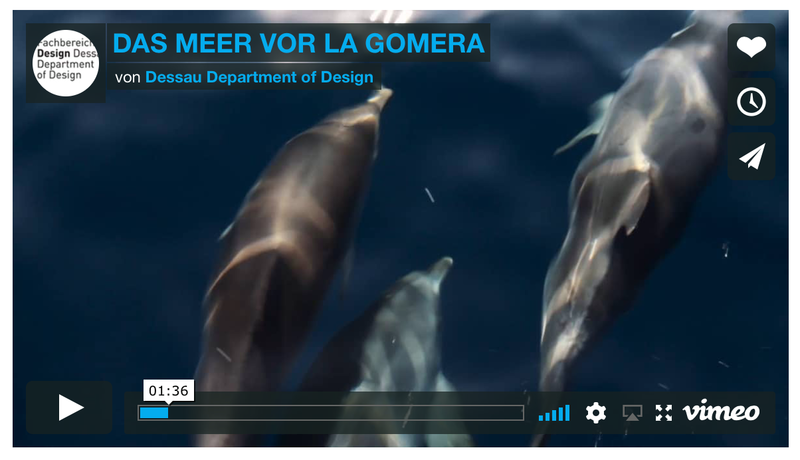 As part of a student project, the cooperation with the University of Dessau (Department of Design) has resulted in a beautiful and informative image film that reflects the work of the NGO M.E.E.R. 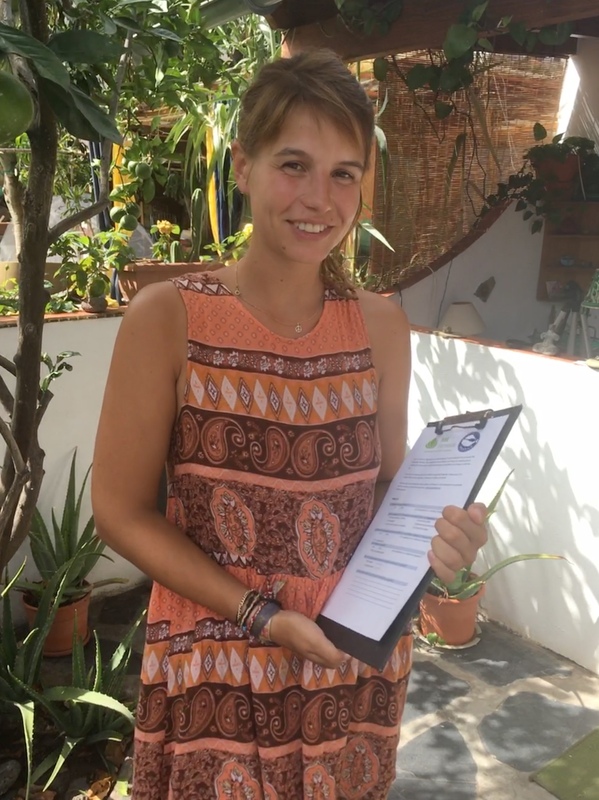 and its cooperation partner OCEANO Gomera. 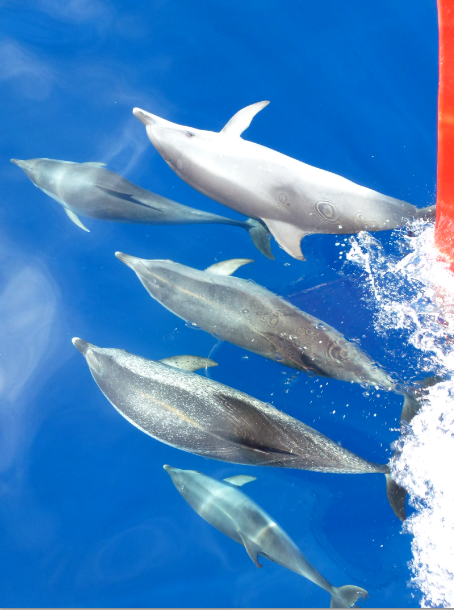 The film shows with enchanting images the uniqueness of this island and the wonderful encounters with whales and dolphins. The urgency and need for protection of this habitat is evident – coupled with our message that everyone can contribute in their own way. 10 -24 March 2018 => BOOK NOW!!! The 5. Workshop on the topic “Communicating Marine Mammal Science to the General Public”, organized by the 2. chairman of MEER Volker Smit, was again a great success. This year the focus was on “Marketing” and Silke Carstens – experienced Consultant from the market sector – presented the topic “Marketing” to the community of scientists together with Volker Smit. In the future this topic should be a permanent part of the workshop, which is to be continued next year. Overall the tenor from the workshop as well as from the ECS conference, which took place right afterwards, is to increase the awareness of the subject “Communication & Science” within the science community. This also arises from the fact, that the topic “Education and Communication” was part of many symposia during the conference. We really do appreciate this!